Have you ever think of the reason why social networks is so popular these days? It's because of the interactions among users or 'the power of influence'. Users, through their words, can place impacts on others, socialize, marketing, build business... And comment is a convenient way to assist them on these actions. 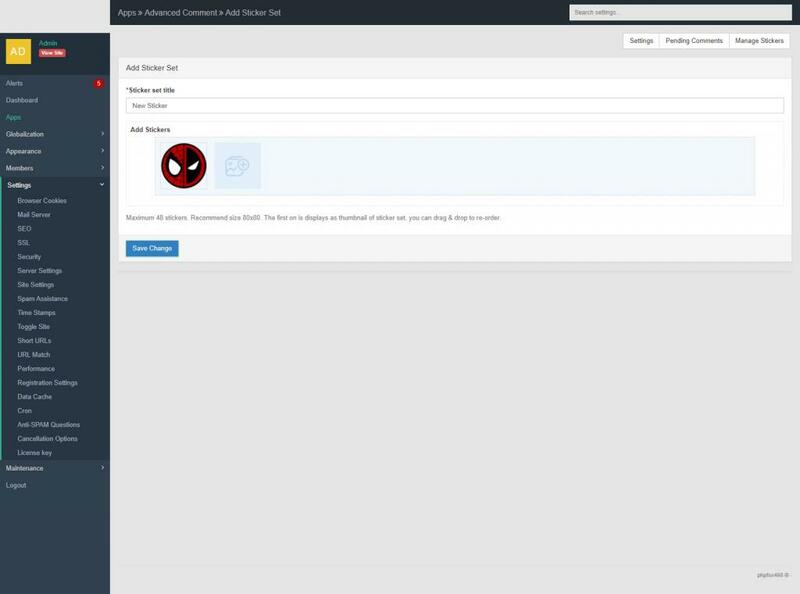 Advanced Comment app expands several additional features to Core Comment of phpFox and help your social network own the most modern tools for users to express themselves. The app provides several ways for users to portray their opinions and ideas through images, stickers, and emojis. 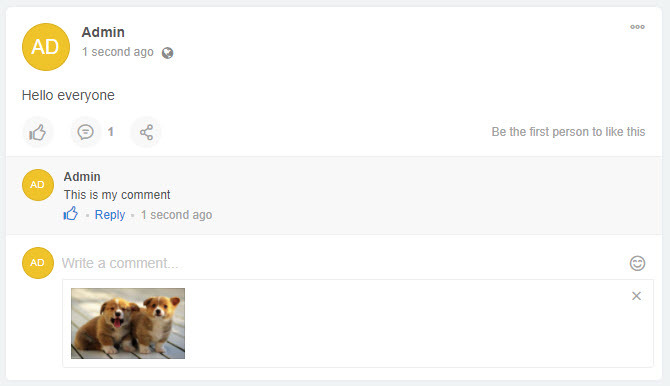 Various improvements are also implemented to comment section such as picture preview on links, hide/unhide comments, preview on the embedded link... And certainly, all these components & settings are easily customized. Threaded comment: Users can post a comment and reply existing comments also. Support reply to comments and also replies. Automatically import all comments from Core Comment. The ability for users to like both comments and replies. The ability for users to report both comments and replies. 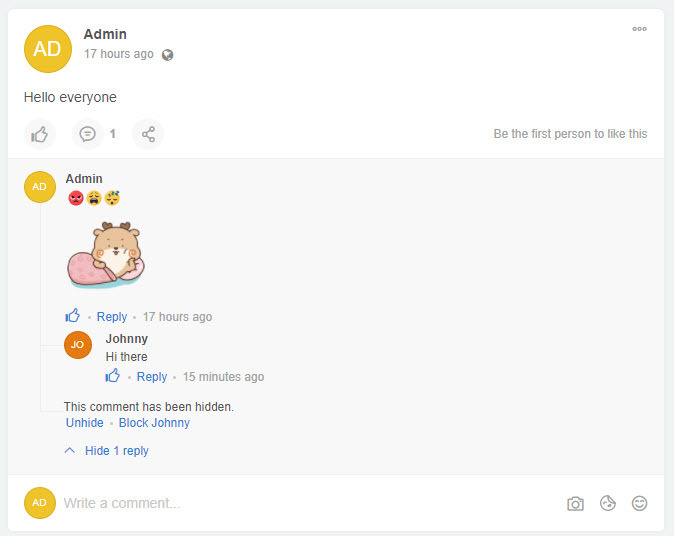 Hide/Unhide comments and replies: Users can hide or unhide comments and its replies separately. 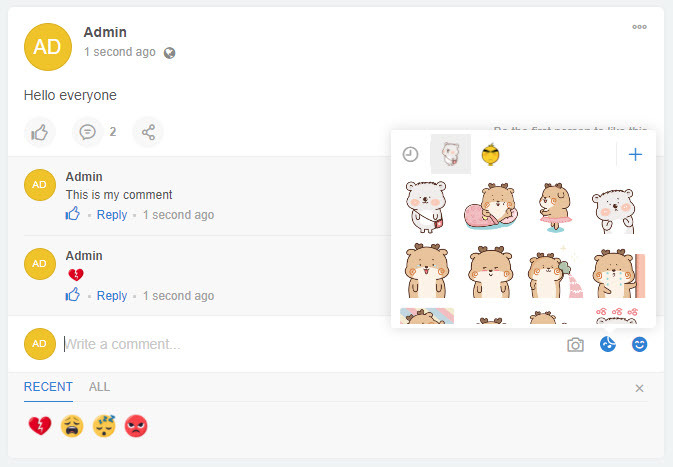 Sticker, emotion: Users can add sticker or emojis to comment and reply. Photo, link attachment: Ability to attach photos and links in comments and replies. Theaded comments: Users can post a comment and reply the existing comment also. Attractive by experience in interactive threaded conversations. 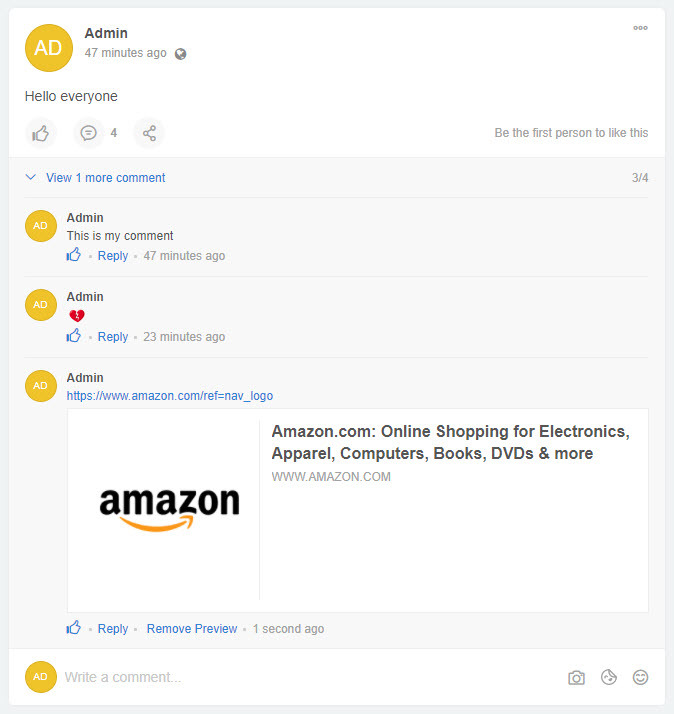 Allow item owners to reply received comments immediately on the post. 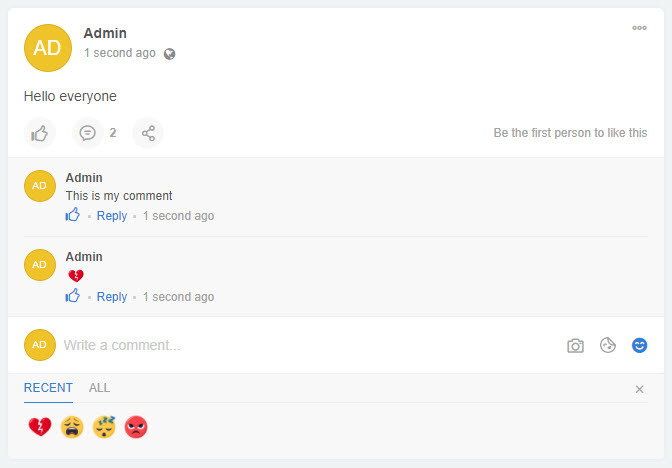 Automatically tag user who posted the comment/reply which is replied. Users can tag friend/page/group that has relation to this user. User post comment/reply right feed by pressing the Enter key. Fixed comments box at the bottom of comment session on each post. Support View more comments configure by the administrator. Automatically import all comments from Comments plugin of phpFox core. Hide comments, its replies will be hidden also. 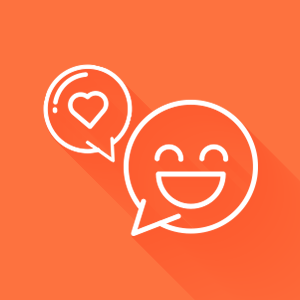 Sticker, emotion: Users can add the sticker or emojis to comment and reply. 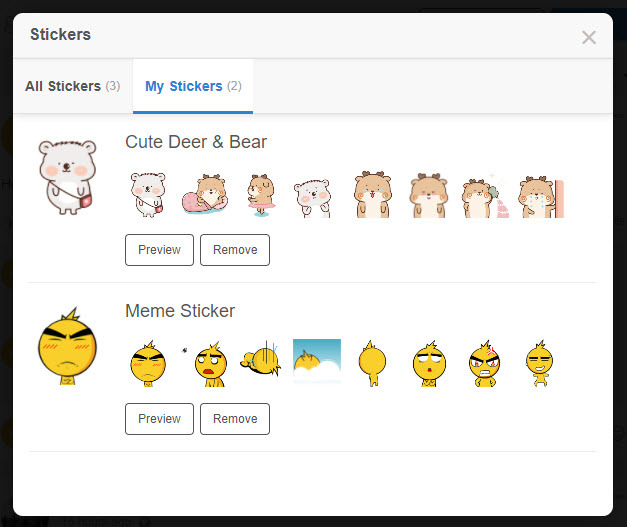 Admin can add new sticker set. 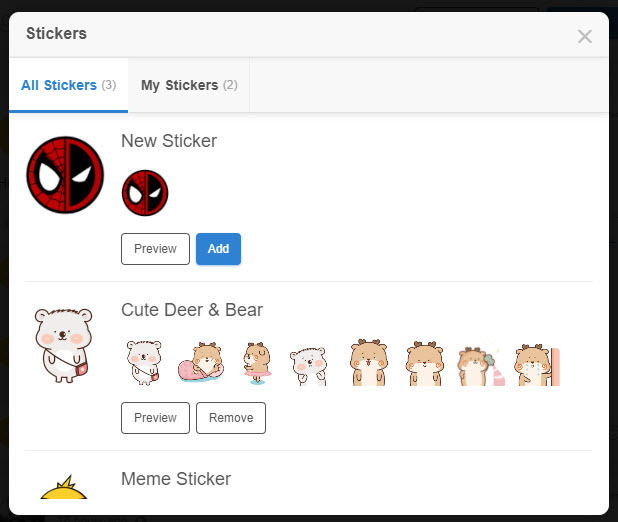 Users can get or remove sticker sets as they want to use. 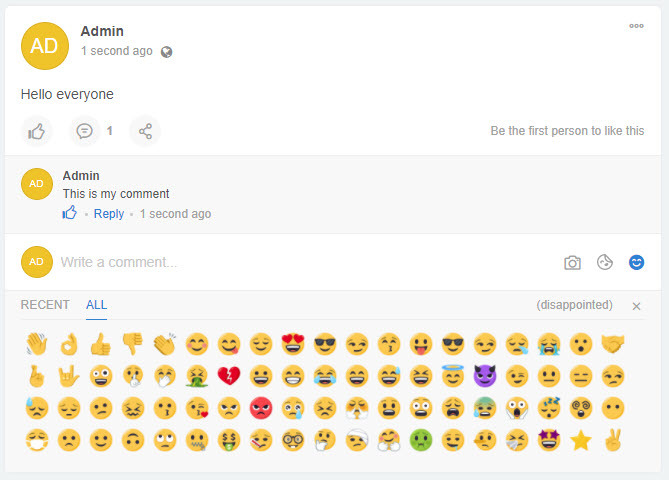 Newest & Updated smileys emotion set. 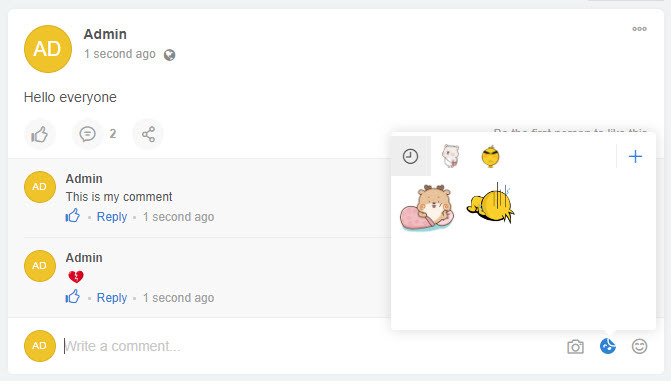 Support recent added stickers/emoji session. The ability for users to view photo directly by photo lightbox viewer. Links attached to comments and replies detected with thumbnail, title, and description for users to preview. Users can copy image link, the system detected image automatically and show as the preview attachment. Edits to comments are visible to everyone who can see the comment. 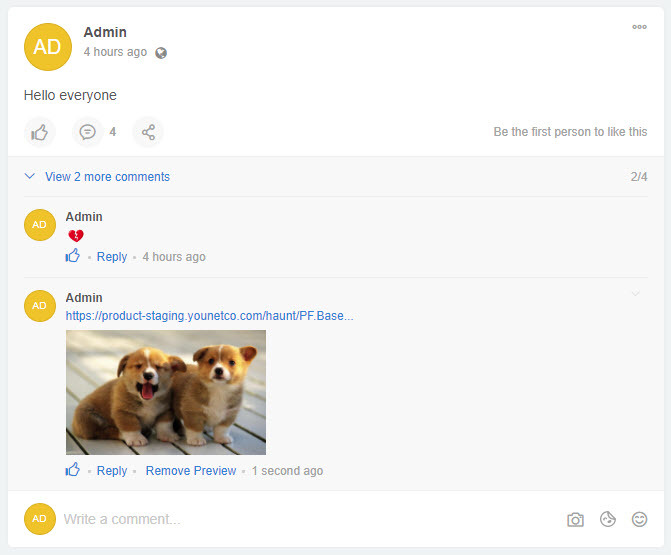 Admin can set the default number of comments and replies will be shown. Admin can configure settings for displaying comments. 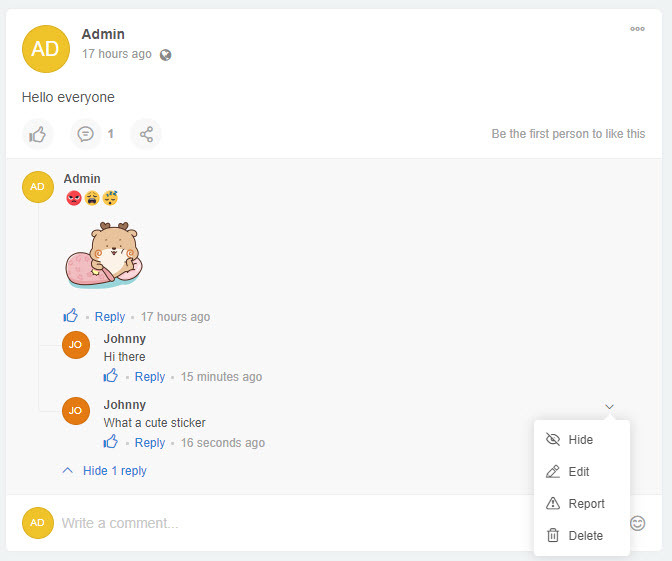 Admin has full right to edit/delete comments/replies. Allow admin to approve/deny pending comment. Question 1: Can I re-order the stickers in a set? You can easily re-order the stickers in a sticker set. Admin CP >> Apps >> Advanced Comment >> Manage Stickers >> Choose the sticker set you want to re-order & select Preview Sticker Set. 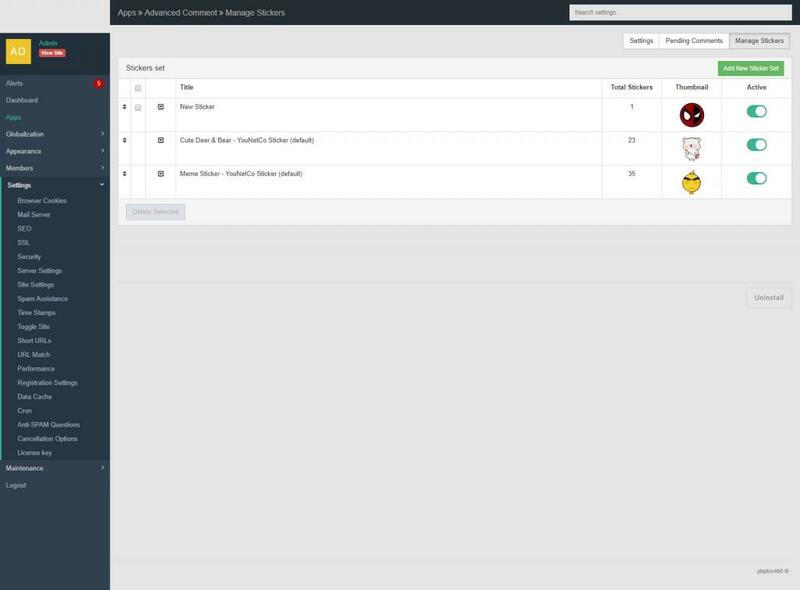 You can drag and drop to re-order the stickers in next page. Question 2: How to create new sticker set? How to create new sticker set? Question 3: How to enable users to edit their own comments? You need to specify this setting for each user group. Admin CP >> Members >> User Group Settings >> Select 'Comment' as App & user group you want to apply this setting. Switch to Yes on 'Can edit their own comments?' setting >> Save Changes. Question 4: How to enable reply on comment? 1. You need to enable Thread Display in Comment app first to have this feature. Admin CP >> Apps >> Comment >> Switch to Yes on Thread Display setting >> Save Change. 2. Then enable to show replies in Advanced Comment app. Admin CP >> Apps >> Advanced Comment >> Switch to Yes on Show replies on comment setting >> Save Change.